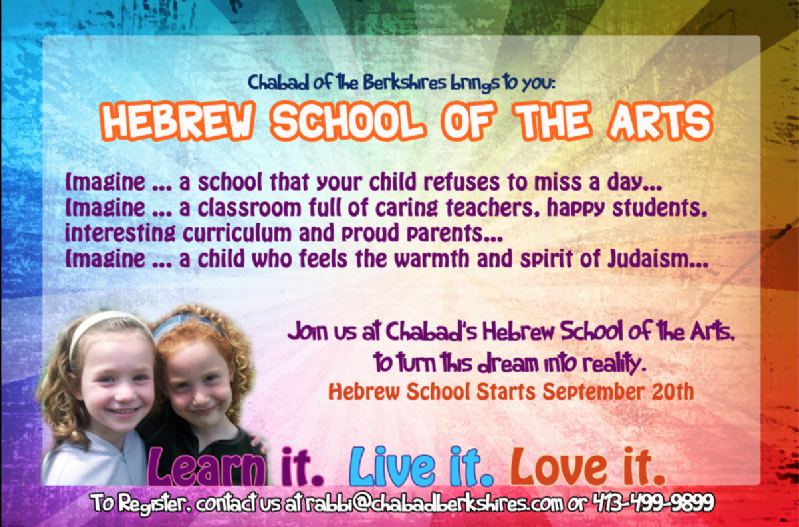 The “Hebrew School of the Arts” offers a stimulating yet friendly environment where children embrace their Jewish roots and gain a true sense of Jewish pride, no matter their level of observance or affiliation. Children, ages three through eleven, acquire a broad knowledge of Judaism through a motivating and challenging venue. Our students gain an appreciation for the joys, values and traditions of our heritage as it is vividly brought to life by the dedicated and enthusiastic teachers whose creativity and dynamism make every lesson a unique learning experience. At Hebrew School of the Arts our goal is simple: We want our students to view Judaism in an intelligent, relevant and upbeat light. By year's end, along with the Aleph-Bet, Holiday learning Jewish history and the Mitzvot, your child will have developed a deep love and appreciation for their precious heritage, imbuing their every day with a sense of pride and purpose. Hebrew School of the Arts offers a unique approach in Judaic studies. 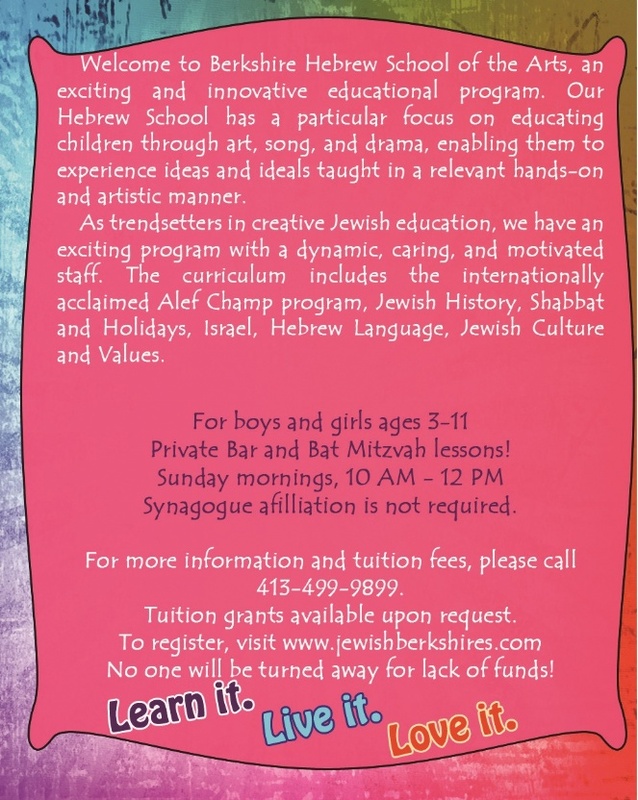 Our program is designed for elementary school-age children who are otherwise not receiving a formal Jewish education. At Hebrew School of the Arts, we provide an experience that represents a positive, cheerful and enjoyable chapter of the child’s maturing life. The underlying strength of our school is in its general warmth and spirit, providing a learning experience in an atmosphere of joy and liveliness. Audio-visual presentation such as Friday Night Dinners, Saturday Junior Congregation, Model Seder, Sukkah building, Havdallah ceremonies, school contests, field trips, hands-on educational children and family workshops as well as games, drama, songs, parties, and arts’ n crafts are blended with the curriculum. This will ensure that your child will receive a stimulating educational experience in a fun and exciting way. Beginning with the origins of the mitzvoth, stressing practical applications in our daily lives, our students will explore a personal Jewishness.